We are a family run business based in Southampton. We have been working in the building and property maintenance business for years and much of our business comes from repeat customers and word of mouth. 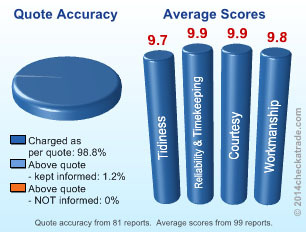 We are well known in the area and have an excellent reputation for great work and great value. We have a ‘can do’ attitude so no job is too large, too small or too unusual! We value the same things that our customers do: a polite and courteous manner, a professional positive attitude and carrying out our work with as little disruption to you and your home as possible. 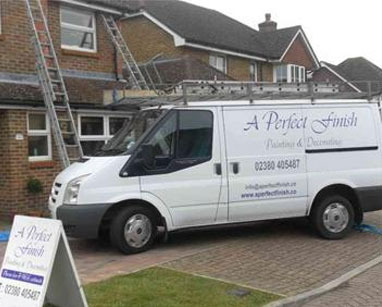 We want you to think you can call us for all your exterior decorating requirements whenever you need us, and that you will be pleased enough with our work to recommend us to your friends and family. We value your feedback and work hard to ensure we always exceed our customers’ expectations. Nobody likes nasty surprises. When you agree a price for your exterior decorating project, you want to know that the price you have been quoted is the price you will pay. You can have total peace of mind that there will be no nasty shocks at the end of your job, and this is really important to us. Call us today on 07899 833993 to get a quote for your project. Website created by Mediaquest Ltd.